With Mayan-, Egyptian- and Medieval-themed games, it was hard not to be excited about the prospect of playing at Mystery Games. As with many Budapest rooms, the rooms are hidden in a basement although, with three (now four) games, I found it to be a much bigger space than most other venues we’d visited. As you might expect from a venue with so many rooms, there was a comfortable waiting space that would allow at least a couple of teams to hang around while their game was being prepared. We chatted to the GM about the different games, and he was open and honest about their quality. In particular, he recognised that Egyptian wasn’t as good as the other two and mentioned that he thought the soon-to-open Steampunk room would be excellent. Certainly, a brief look at it from the outside suggested that it would be impressive, at least from a thematic point of view. Of the three games we played, I’d happily recommend the Alchemist and Mayan games. 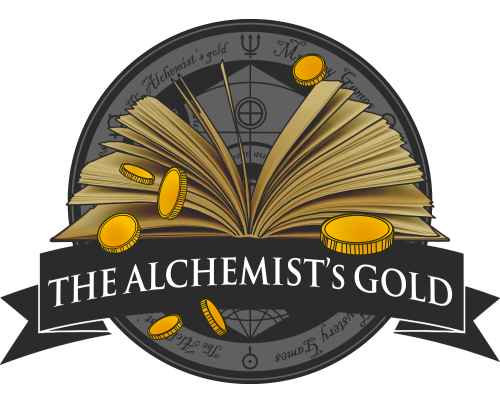 Alchemist’s Gold was particularly good for puzzles, and both had some enjoyable skill challenges and, controversially, enjoyable search elements – where everything we needed to find was chunky and hidden fairly (and yet we still struggled to complete the full set of items…). I didn’t have strong expectations entering Alchemist’s Gold, because I’d let somebody else do the booking and just nodded positively at all their questions. As soon as I crossed the threshold, though, I knew I’d made a good decision. Looking back, the thing that springs to mind is The Name of the Rose, the 1980s film with Christian Slater and Sean Connery. OK, perhaps not the best analogy, but the point is that this felt like a good rendition of a Medieval theme with some suggestion of dark arts weaved through it. The lighting, the set, the imagery and the materials all came together to convey the sense of a long-lost era. The puzzles were on the mark too, with a relatively small number of trickier puzzles to complete, including some really enjoyable physical ones. There were two in particular that would have been the highlight of most games – each took a fairly standard physical puzzle and added an element that made it significantly more enjoyable. There was one that I thought I was going to hate because, when I didn’t have all the necessary components to solve it, it looked virtually impossible to dissect. But be assured: the puzzles in this game make sense as long as you have all the pieces you need – so, if you’re confused, consider doing some more searching as a first step. Which brings me nicely along to the most surprising part of this game for me: searching. I actually actively enjoyed searching in this room. I don’t know if that had ever been the case before: I may have been satisfied by the end result in previous games, but I don’t think I’ve ever found the process itself anything other than a necessary evil before this one. Why was it different? Well, firstly, you have some idea of what you’re looking for; and, secondly, they’re big chunky items, so you don’t have to worry about doing a fingertip search and can just do a rough check of an area to see if the prop is there. In spite of that, it still wasn’t easy – that difficulty without tediousness was a perfect balance. Having really enjoyed Alchemist’s Gold, I was thinking to myself “More of the same, please!”. I’d have been shocked had I realised just how much that would end up being the case. But let’s start with first impressions. The previous room had been a pretty game with its moody lighting, but this one was captivating with its handmade Mayan look. It wasn’t the (fake) stone you might expect, which would have fitted perfectly. Instead, they’d taken the Mayan imagery and rendered it in wood, which worked well. It was definitely better than stencilled imagery and, to be honest, probably just as immersive as if it had looked like a stone temple. Again, the story element is minimal – there’s more quest that narrative. In fact, I don’t think we were even told what the quest was before we entered, but we soon got a feel for what the target of our search was. That gave us a nice sense of progress to the game as we collected the relevant artefacts and, even on the road to collecting those artefacts, there were other elements that further subdivided the game. The thing that surprised me with this experience was just how similar in construct it was to the previous room. Don’t get me wrong – playing the previous game didn’t spoil this one – it’s just surprising that they’d opted for the same unusual chunky search options and even a similar-looking huge physical puzzle. To be clear: the ways in which it echoed our previous experience neither gave us a significant advantage nor were unwelcome from a gameplay point of view. There were two let-downs to this game for me. First, there simply weren’t many puzzles. The searching, while still enjoyable and challenging, dominated the game a bit too much. The puzzles formed a relatively minor part of the process and were never very difficult. Secondly, there were a couple of elements that were entirely out of keeping with the rest of the room. For example, where everything else was beautifully created, there was a piece of laminate card that felt like it had just been stuck on as an afterthought. Given the effort they had put into creating the room, it’s surprising that they then skimped on a single puzzle which would have been just a couple more elements of work. The finale felt a little temperamental, but we were reasonably confident about our end goal, so we played around a little until it worked. Our team of three escaped in 27 minutes with one clue. I hadn’t really paid attention when we were booking, so I was surprised to find that this Egyptian game was set in a museum rather than a tomb. That gave them the opportunity to do something a little different by not forcing everything to look old and worn. And they’d done a great job: capturing the museum feel with clean lines, and the objects very much looking like they were on display. It wasn’t all perfect – some parts were a little dull – but, overall, it carried the theme well enough. Where the other two rooms had been search-heavy, this felt like a much more traditional experience, with more involved puzzles and relatively limited searching. What puzzles it did have, though, were disappointing. One of them we were genuinely trying to solve when we accidentally brute-forced the solution just by playing with how the puzzle might work. Another had a convoluted solution that didn’t make a huge amount of sense even when the GM explained it to us. That was a particular shame, because there really was plenty of material for the puzzle to work with, and it felt like it wasn’t far from being an impressive challenge. There wasn’t anything in the way of skill-based puzzles, but they’d used auto-detection of game elements to add some magic to the room. One particular moment stood out for me in the way it brought a bit of theatre to a room that might otherwise have been lacking – one of those moments where you kind of know what’s going to happen but the way it’s implemented, the reveal, is just that much more impressive than you’d imagined. There’s a clear measure of progress in this game but, perhaps because I didn’t get on so well with the puzzles, it didn’t really feel like it helped to gauge how we were progressing in the room. It did provide for an enjoyable finale to the game, however – the sort of thing that, while not strictly fitting with the museum story, was still an appropriate way to end the game. Our team of three took a single clue to escape in 27 minutes.